A stunning pair of vintage Alpax stools. 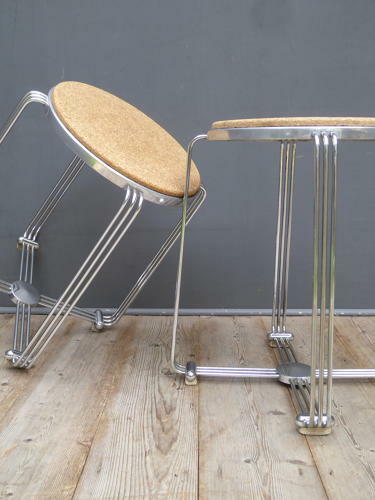 Beautifully made stools of excellent form with mulilateral chrome legs & cork topped cast aluminium seats. Manufactured for bathroom use but so effortlessly good looking they would fit in anywhere! Price is per stool with one now available. Wear commensurate with age, good overall, one stool has some wear to the rubber feet which doen't detrtact.